Lack of Women in the Tech-Industry: How Can AI Help? Speaker Beena Ammanath is working in the tech industry. We asked her about the lack of women in this industry and how Artificial Intelligence can help to close it. Beena Ammanath is the founder of Humans For AI Inc., an organisation focused on building out a more diverse workforce for tech leveraging Artificial Intelligence. She is also an award winning senior technology transformation leader with extensive global experience in AI, big data, data science and IoT space. Her knowledge spans across e-commerce, financial, marketing, telecom, retail, software products, and industrial domains. Her corporate leadership experience has influenced the global strategic direction of companies such as GE, Thomson Reuters, British Telecom, Bank of America and E*TRADE as well as a number of Silicon Valley startups. She serves as a board member for ChickTech Inc. and on the Industrial Advisory Board of Cal Poly University. 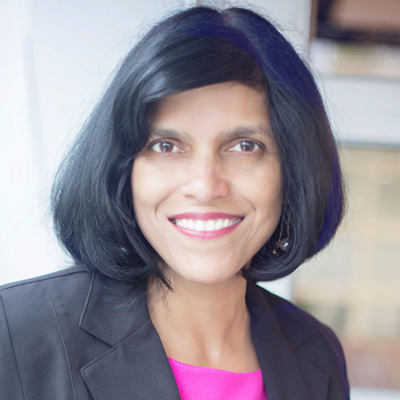 Beena has been honored several times for her contribution to tech and her philanthropic efforts, including the San Francisco Business Times’ 2017 Most Influential Women in Bay Area , WITI’s Women in Technology Hall of Fame , National Diversity Council’s Top 50 Multicultural Leaders in Tech , CIO.com and Drexel University’s Analytics 50 innovator, Forbes Top 8 Female Analytics Experts and Women Super Achiever Award from World Women’s Leadership Congress. She recently co-authored the book “AI Transforming Business”. Beena thrives on envisioning and architecting how data, artificial intelligence and technology can make our world a better, easier place to live. What motivated you to work in the tech industry? Beena has always been good at Mathematics. She studied Computer Science. Since her first job after graduation, she has always been in technology-focused roles and been lucky to work in an area, within computer science, that is her strength – data. Beena has worn multiple hats as she has progressed in her career – from data analyst, data developer, data team leader, data architect and now data executive. She has seen how this whole space has evolved from a technology aspect. Twenty years ago, it was all about transactional databases, then came the era of data warehouses and now it’s all about big data. Ultimately, it’s about looking at data in different ways and the ability to look at all kinds of data to drive positive outcomes. Beena has worked at large corporations, midsize companies and start-ups. At the end of the day, data can be a key differentiator for all organisations. In the past, we used data to see “what happened” and now with predictive analytics and AI we are able to predict “what will happen”. It’s an exciting time to work in the data area. I believe the technologies that we use change, but as long as you focus on the outcomes or results that a technology can drive and not so much on the actual technique or technology, it’s very easy to stay relevant. Beena has always been interested in technology but it’s the use of technology that fascinated her more than anything else. Why do you think that there is still a lack of women in tech positions? Retaining and growing the women who are already in tech. Beena believes that today there are a number of organisations focused on a number of initiatives to get more women into tech. She thinks we will truly see the numbers improve over the next decade or so for women studying in STEM fields. However, there is a huge need to retain and grow the women who are already in STEM fields. 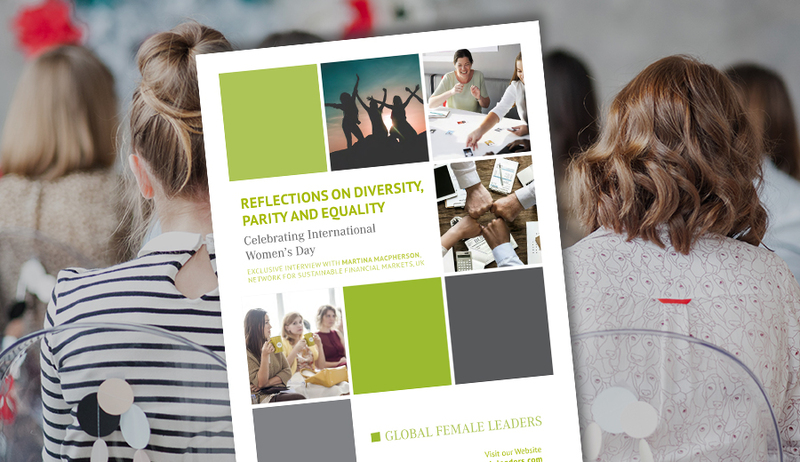 Women remain underrepresented at every level in the corporate pipeline. For every 100 women promoted to manager, 130 men are promoted. The higher you rise in your career, the fewer women you see. Most tech companies do not have a gender-diverse leadership. Even if we increase the pipeline, we lose a lot of women when they reach a certain stage in their career, due to a number of reasons. Companies need to look deeply within their culture to understand why that happens, and provide the mechanisms needed to retain and grow a diverse leadership team. 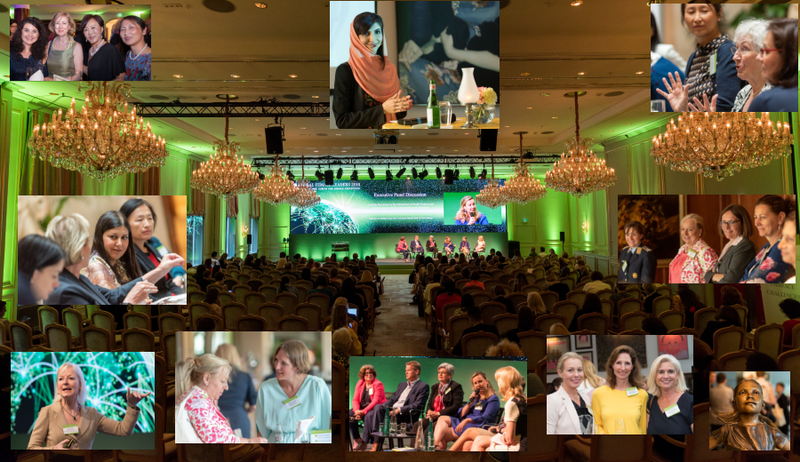 Women deal with life events differently, and most organisations do not provide the support they need to deal with life events and keep growing in their careers. There should be a way to get them back and engaged in the workforce. Companies offer internships for new graduates, so maybe one option is to provide internships for women re-entering the workforce. Certainly they have the experience and maturity — they just need the help to get back into the corporate world after a career break. The other is being aware of unconscious biases that exist in the workforce and eliminating them. Do not look at a person’s career as a linear track. Look at the ability of that person. Getting more conscious about the biases that exist within the system and providing a safe, open environment for women to grow in their careers is critical. The organisation Humans for AI is focusing on a more diverse workforce for tech leveraging Artificial Intelligence. Can you share a bit more about how you are doing it? Long ago AI was just a myth, but when you look around now, everything is “AI-driven’’. AI is going to change everybody’s role, no matter what’s your role today. The roles which existed 20 years before no longer remained the same. We now have more diverse roles because of mobile and internet. And, again the roles are going to be different twenty years from now, because of AI. Beena’s original idea behind this initiative was to get more women into technology space using AI, but now it is beyond that. It is about creating a truly diverse workforce for the future using AI. Imagine women who drop out of their tech careers and who do not rejoin tech because they find it very overwhelming to get through it. Today, let’s say we have a chatbot, which is again an AI product primarily used for customer service or tech support. But what if the chatbot can become the best friend of girls or women who are struggling in their professional lives, or who have no body to talk? Would that not be perfect for the girls? The AI-bot can show them the role models in the tech industry, women who have survived and grown in this field and help them stay back in tech. At the end, AI can help in enabling a diverse workforce.